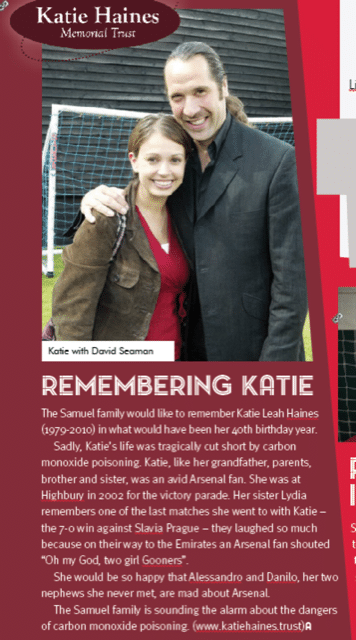 Katie’s family had a lovely article in the 10th March Arsenal vs Manchester Utd programme. Raising awareness through Katie’s favorite football club. Sounding the alarm about the dangers of carbon monoxide poisoning.